Robert “Bob” Moses is known for his work as a leader of the Student Nonviolent Coordinating Committee (SNCC) on voter education and registration in Mississippi during the 1960s Civil Rights Movement. Born in Harlem, New York, Moses received his B.A. from Hamilton College in 1956 and earned an M.A. in philosophy at Harvard. Moses developed as one of the most influential black leaders of the civil rights struggle, and he had a vision of grassroots and community-based leadership. Although Moses’ leadership style was different from Rev. Martin Luther King’s, King appreciated the contributions that Moses made to the movement, calling them “inspiring.” Moses initiated and organized voter registration drives in the South, sit-ins, and Freedom Schools for SNCC. He currently runs the Algebra Project, which is a continued effort to improve math education in poor communities with the goal of preparing more students for the workforce. He has received a MacArthur Fellowship and other awards for this work, which emphasizes teaching algebra skills to minority students based on broad-based community organizing and collaboration with parents, teachers and students. Starting as a civil rights leader and transitioning into an advocate for the poor through his work with the Algebra Project, Moses has revolutionized the ideal of equal opportunity and has played a vital role in making it a reality. 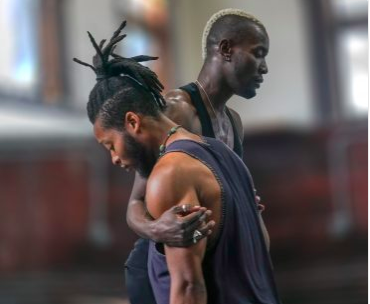 Boston-based beheard.world is a 501 (C) 3 that emerged from the collaborative efforts by artists who are also social justice activists under the leadership of Anna Myer and Jay Paris. Over our ten year history, beheard.world has produced a rich array of critically acclaimed performances and film work with artists of widely diverse ages, races and aesthetic expression. Beheard.world also supports inner-city artist and grassroots arts organization through creative collaborations. The goal of beheard.world is not simply to be another documentary film company or performing arts ensemble but rather an organization highly committed to giving original expression to iconic, beautifully told stories that emerge from individuals, communities and cultures that need to be seen and heard. Hollis Watkins is an activist born in Lincoln County, MS, ,who became part of the Civil Rights Movement activities in the state during the 1960s. He was a member and organizer with the Student Nonviolent Coordinating Committee (SNCC) in 1961, was a county organizer for 1964's "Freedom Summer", and assisted the efforts of the Mississippi Freedom Democratic Party to unseat the regular Mississippi delegation from their chairs at the 1964 Democratic Party national convention in Atlantic City. He founded Southern Echo, a group that gives support to other grass-roots organizations in Mississippi. He also is a founder of the Mississippi Veterans of the Civil Rights Movement. Hollis is a powerful force in the efforts to carry on the unfinished business of the civil rights movement. He is currently president of Southern Echo, a leadership development and education organization. He also serves on the Board of Directors of Highlander Research and Education Center, and the Southern Sustainable Agricultural Working Group (SSAWG). Mr. Watkins is a co-founder and member of the Civil Rights Veterans of Mississippi, and currently serves as its chairperson.